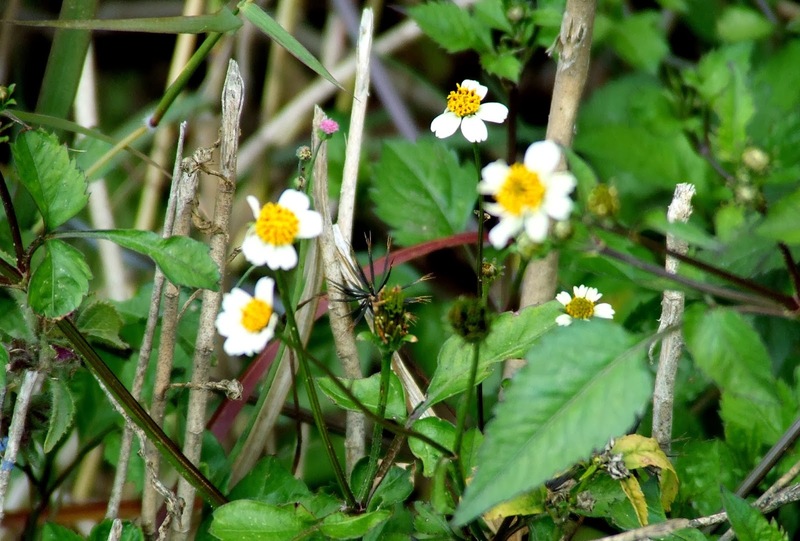 There are certain wild bushes and small plants that used to show up in the fields during Spring. In fact we used to associate them with the arrival of Spring. Dainty purple flowers, small white petals with a yellow center and some like small daisies used to dot every inch of the wet ground. With the passage of time as fields gave way to unplanned colonies and the meandering brook asphyxiated, these wilds flowers too vanished or, botanically speaking, became extinct. For the last few years, we have been growing veggies in our vegetable patch the natural way. We have been following Masanobu Fukuoka’s “The One Straw Revolution” where he demonstrates how we look at farming, he joins the healing of the land to the process of purifying the human spirit and proposes a way of life and a way of farming in which such healing can take place. Following his tenets, we let the weeds and wild varieties thrive with the cultivated ones. The produce is healthy and sufficient to supply us for our small needs. We also noticed that the extinct varieties, have made a comeback……there is some connection which I am yet to discover….but it is a source of great happiness. 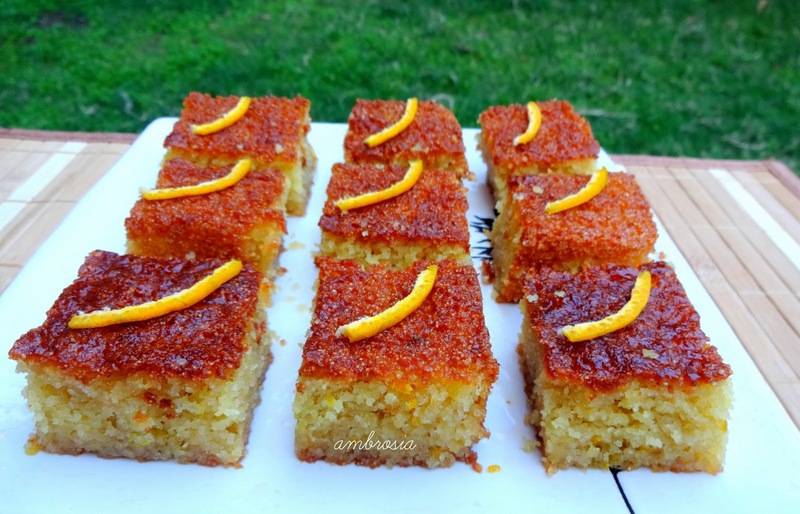 Coming to the recipe, here is how I made a very simple Cake with Semolina and Yogurt. The cake was delicious. 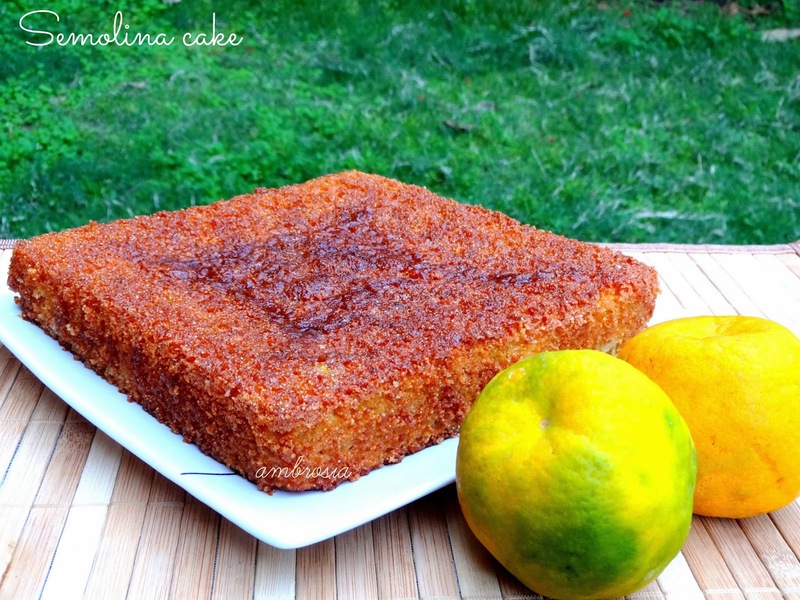 Semolina adds great texture to the cakes. The cake was juicy and orangee! Preheat the oven to 170 degrees C. Grease and dust a 7x7 inch square cake pan. Line with parchment paper. Beat the white of the eggs till stiff. Beat butter and sugar till light and fluffy. Add yolks, zest and yogurt. Mix well. Whisk together semolina, all purpose flour, baking soda and baking powder. Add flour mix to butter mix and stir gently till just combined. Add egg whites and mix. To prepare orange syrup, combine juice and sugar in thick bottom steel pan. Bring it to a boil. Poke hole on the cake with a toothpick. Pour warm syrup over warm cake. Let the cake cool completely. (Semolina will absorb the syrup and become soft and juicy). Wow, love that orange colour on the top of he cake. Are those orange peel strands you have used to decorate the cake :) Pretty! Love the dark colour on top along with the orange peel. The cake looks super moist and yummy. 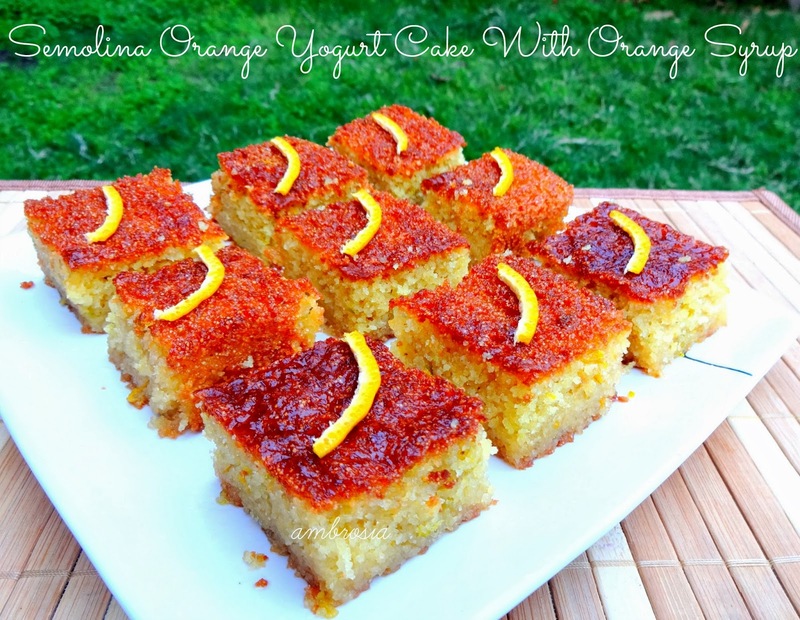 I must try this recipe with semolina. Hello, I baked this with whole wheat flour n vegetable oil.How much would be the orange juice for syrup? I added 1/2 cup juice. Came out wonderfully soft n yummy. Hello Binu, I love your baking experiments. I am happy that your cake came out well. Juice of two medium oranges is abbout 1/2 to 3/4 cup. I used 3/4 cup oil. Cake came out well though! Is 75gm butter equivalent to 1/4 cup oil? Binu I use standard (240 ml) measuring cups. 75 gms butter is 3/4 stick of 100 gms butter. I meant if I replace butter with oil, how much would it be in cups? Binu take 1/3 cup oil. That is around 79 ml. That would be perfect!